Subliminal (2012) shows us as we are, under the bonnet. It’s about how the unconscious mind is in charge, working away like an efficient yet imperfect machine, while we go on with our lives unaware. The reader finds studies, examples and anecdotes about the peculiarities of the unconscious mind, such as the pitfalls of memory recall, choosing a mate, buying a stock or scheduling a project. These are mined from historical events, science experiments and the authors’ own experiences, as well as from his friends in the scientific community. 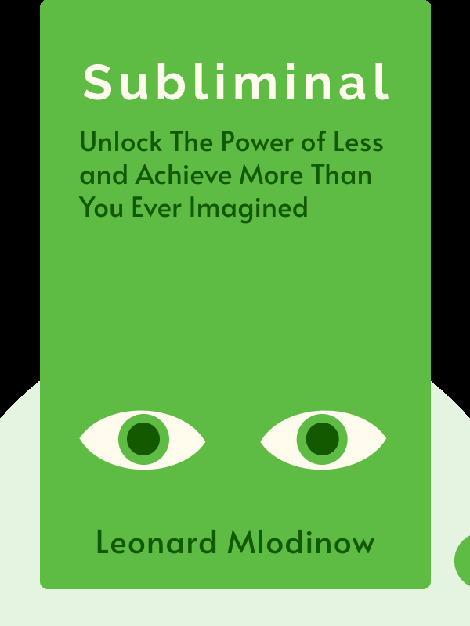 Leonard Mlodinow is a physicist and author of bestselling science books such as The Drunkard’s Walk: How Randomness Rules Our Lives. He has a PhD in theoretical physics from the University of California and teaches at the California Institute of Technology. 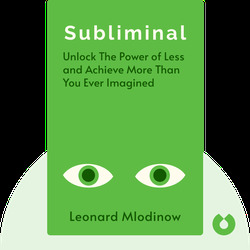 His parents were concentration camp prisoners during World War II and their stories feature in Subliminal. In the past he has collaborated with luminaries like Richard Dawkins and Stephen Hawking. He has also written scripts for TV science fiction series including Star Trek.